As a user of the iPad for almost a year now, the comparison to Apple’s tablet was in the forefront of my mind, but the major difference between the two was the button that exists at the bottom of the device to return from the home screen. All the controls for the Xoom are on screen, which takes a little getting used to, but the switching between active apps is a lot simpler with a single on screen button over double tapping the button on the iPad. Once the adjustment is made to the on screen buttons, which mirror those on the Droid, it becomes a comfortable experience. Alternatively, the power button on the back of the Xoom is perfectly positioned to comfortably press when holding the Xoom, as opposed to the small button on the top of the iPad. The navigation on the Xoom is familiar to anyone who has an Android phone. The Xoom has five screens for apps and widgets, with an on screen button for the app slider that contains the full list of installed apps. With the Xoom able to run all existing Android applications, there are hundreds of thousands of apps to run on the Motorola Xoom, but the essential Angry Birds was already installed by the time I received the Xoom. The Xoom’s 10.1″ screen has a resolution of 1280×800, which is higher than that of the iPad and the images look very crisp, but screen feels slightly smaller because of the on screen navigation. Pictures and video look vibrant and all of the apps scale well, without having to zoom in like iPhone apps do on the iPad. The screen has good touch capabilities as well, which allow for few few mis-touches on the screen. The 10.1″ screen was the perfect size for me to thumb tap the portrait keyboard to type out messages. The landscape keyboard was a little small for my fingers and was a tighter fit for typing out loger messages in comparison to the iPad. Although I never typed out anything longer than an email on it, I feel it would take some getting used to before typing longer articles on it. The battery life of the Xoom held up well under usage in the car, where it was constantly using 3G and being used as a wifi hotspot. As we were traveling, the built in hotspot powered the internet for multiple laptops, as well as other devices. It kept us connected to the world and let us upload videos for our challenges from Chevy. Since we were so dependent on the Xoom, we never let the battery run too low between charging it in the car and at hotels when we stopped overnight, but we were able to go for hours without charging. If we were using it under more normal conditions, I’m sure it would have lasted for days. The Xoom also contains a 5 megapixel camera on the back for shooting pictures and HD video, plus has a 2 megapixel camera on the front. We were able to Skype with good clarity, as well as take some good quality pictures to post to the internet via the Xoom to do quick uploads and share with the world that was watching the challenge on assorted social networks. 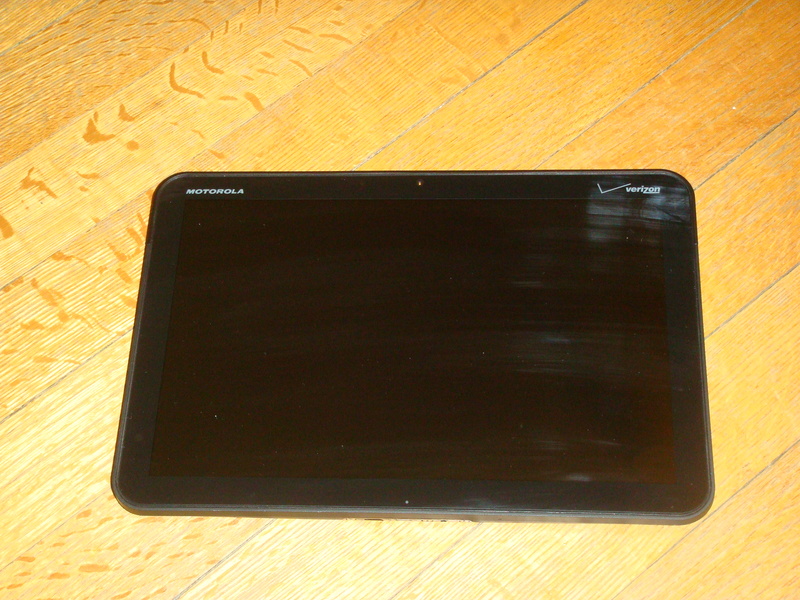 Even after being a devoted iPad user for almost a year, I really like the Motorola Xoom. For those who prefer the more engineer oriented customizability of the Android based devices over the more design based devices from Apple, the Xoom makes a perfect data consumption device on the go. I still would choose a laptop over tablets for most content creation, the Xoom is a good portable data device for when a laptop is too much.